Situated in Mulhouse, France, Le Cité de l’Automobile houses upwards of 400 truly astounding cars on public display. 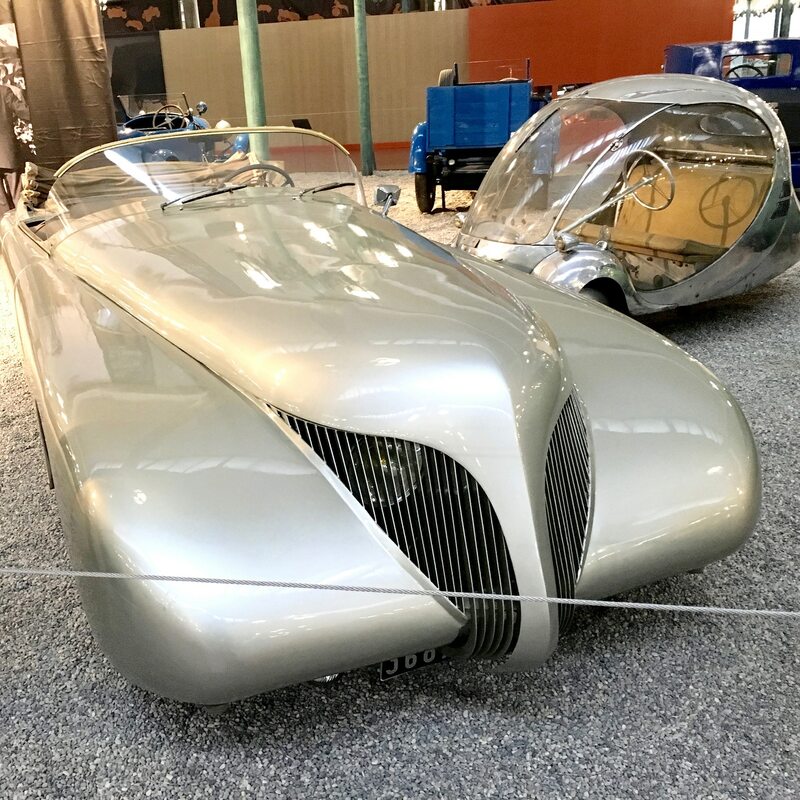 The French national auto museum that sprang from a collection amassed by Hans and Fritz Schlumph that focused on Bugatti and other high-end classics. 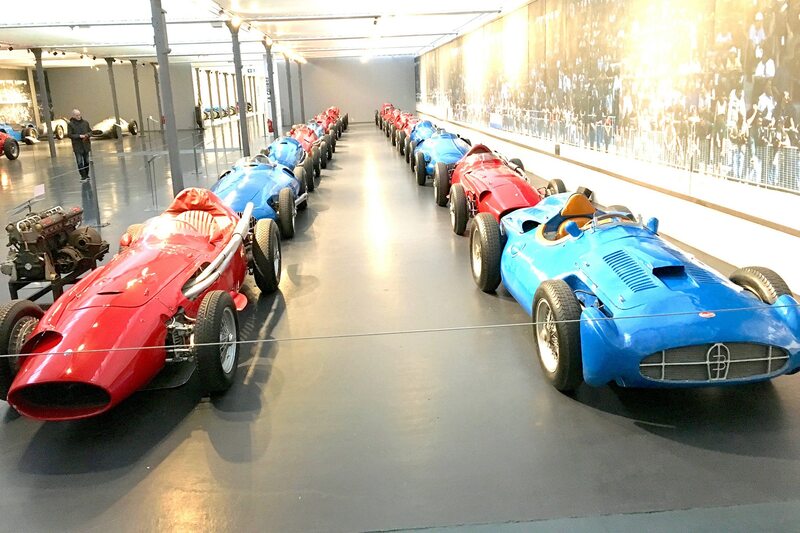 The Schlumphs are long gone but the Bugattis, more than 100 of them, are still here—fitting, given that the museum is located a mere hour’s drive away from Bugatti’s hometown of Molsheim. These include three Type 41 Royales, one of which was built by the Schlumphs on an existing chassis with Bugatti spare parts. “The car of kings” weighs 7,000 pounds and is 21 feet long. Apart from Bugatti, it houses one of the greatest aggregations of “Les Grandes Marques” under one roof that the world has ever seen. 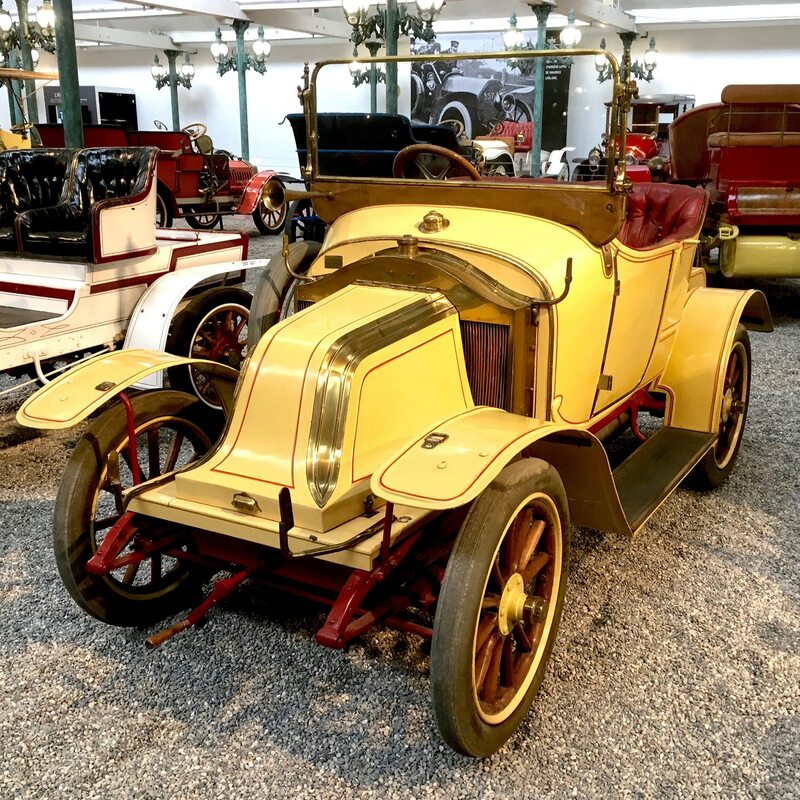 This includes an impressive number of pre-turn of the last century cars that underscore France’s leading role in the origin of the automobile. French makes like Voisin, Panhand & Levessor, Delahaye, Delage, Renault, Talbot, De Dion-Bouton, Hotchkiss, and Citroën dominate, but other counties are represented as well. 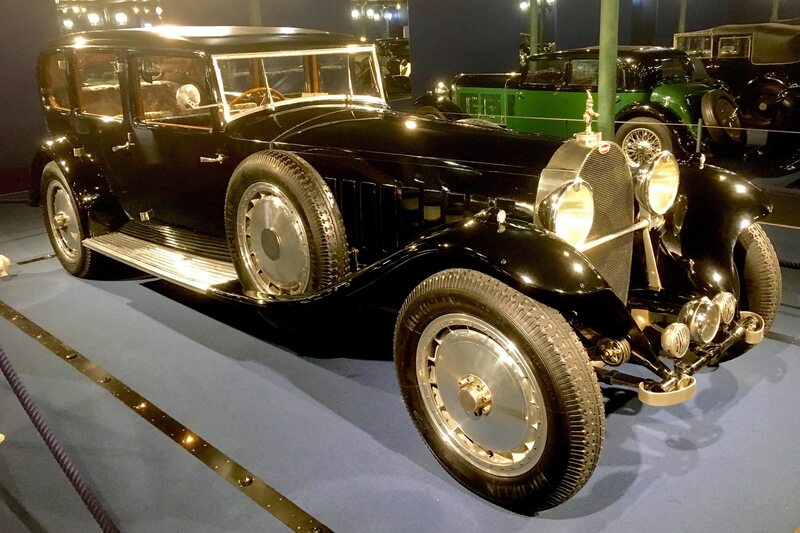 There are significant models from Alfa Romeo, Ferrari, Isotta Fraschini, Maserati, Benz, Mercedes, Mercedes-Benz, Horch, Maybach, Rolls Royce, Bentley, Aston-Martin, Hispano-Suiza, and many more—both notable and obscure. One of the museum’s three Bugatti Royales. This one, along with 29 other Bugattis, was sold to Fritz Schlumpf by American fishing reel magnate John W. Shakespeare in the early ‘60s. 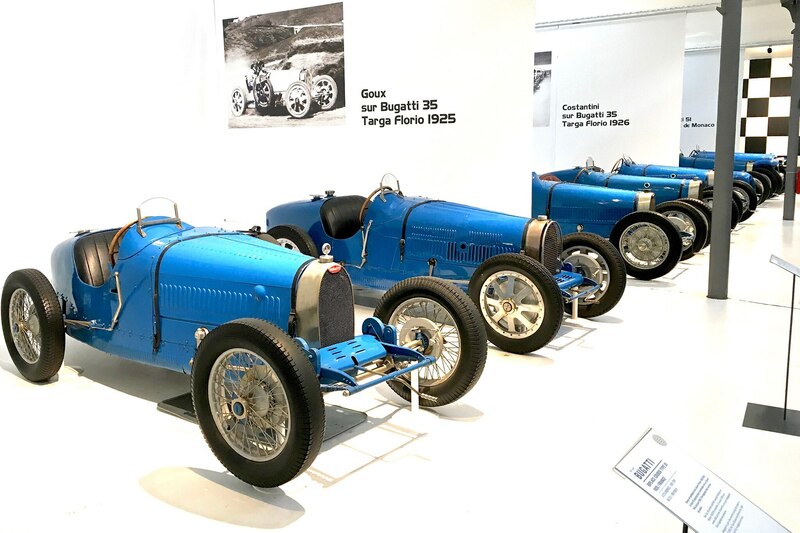 Of course there’s an entire gallery devoted to race-bred Bugatti Type 35s. 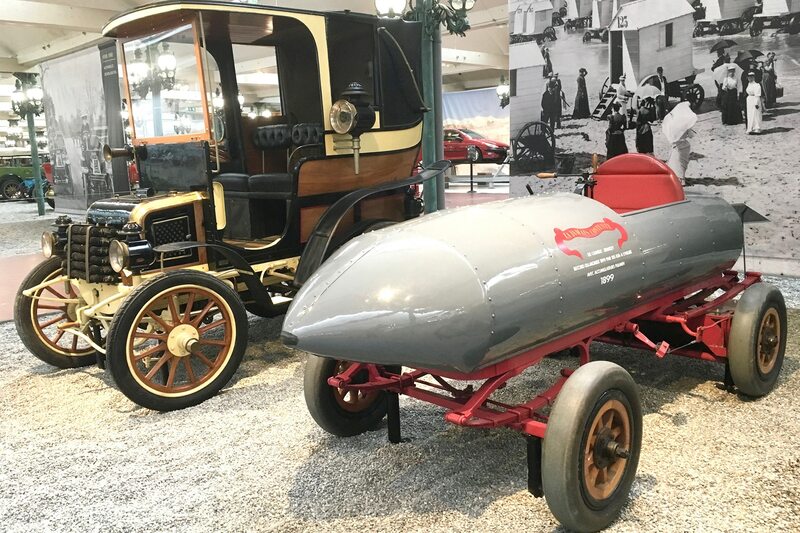 A study in contrasts: 1899 Panhard Levessor Tonneau Fermé is the upright citizen juxtaposed to 1899 World Land Speed (there wasn’t any other kind—the airplane was four years away) “La Jamais Contente” (Never Satisfied). The bullet shaped electric, steered by a tiller, was the first vehicle to exceed 100 kph before the century turned. This fantastic two-cylinder 1911 Renault Torpedo AX appears to be wearing a mustache but its real charm was fuel economy. It got close to an equivalent of 40 mpg. 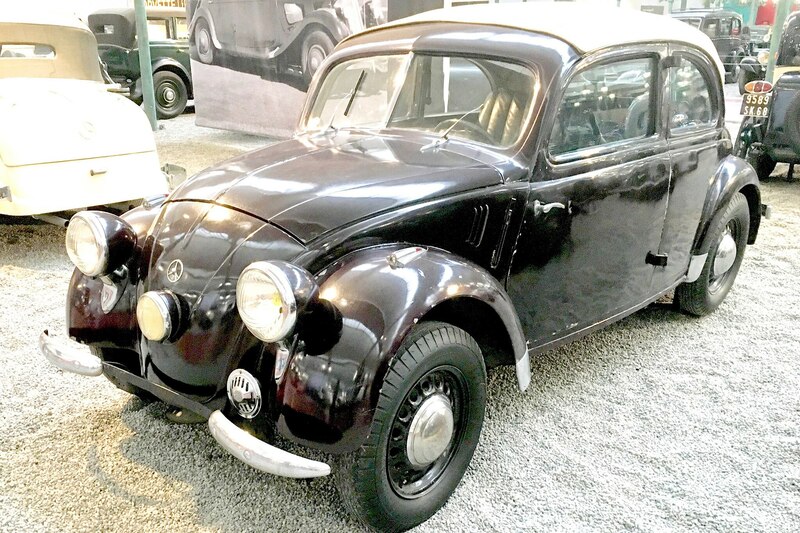 The 1936 Mercedes Benz 170H was designed by Ferdinand Porsche before he went his air-cooled way. Only 1,500 of these were built due to handling that would cause Ralph Nader to justifiably raise a monumental ruckus. 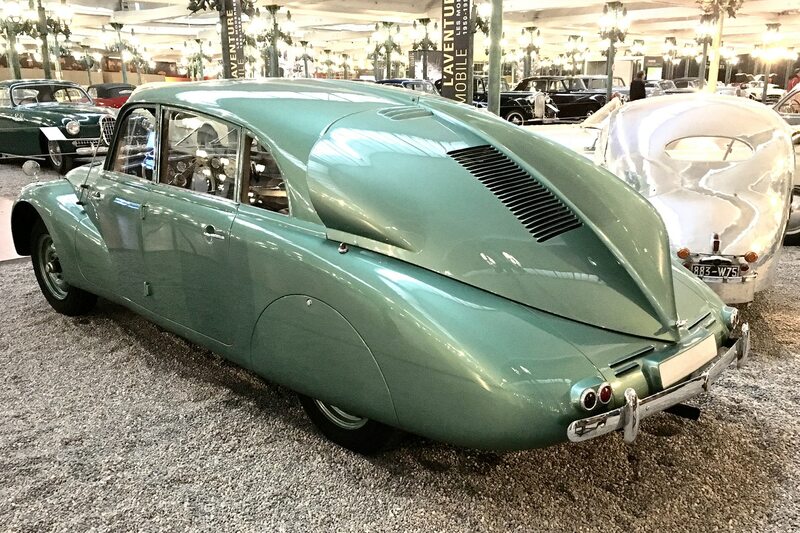 Speaking of rear-engine anomalies, Cité de l’Automobile has a fantastic 1937 Tatra 87 on display. It has an air-cooled V-8 in the back, a giant fin, and zero rearward visibility. If back-up cameras had already been invented, we’d all be driving these now. Yes, there’s a gallery devoted to open wheel race cars. After the death of Ettore Bugatti, son Roland did his best to keep the marque going and developed this Type 251 which was entered in the 1956 French Grand Prix. Sadly, the only pack it ever led is in the museum. The Schlumphs’ obsession with obtaining cars was matched by that of designer Paul Arzens in creating them. Here, his Buick-based “La Baleine” (The Whale) is seen with “L’Oeuf” (The Egg). The big one made its debut in 1938 and the little one came along just a few years later. Some give him credit for conceptualizing big cars with pontoon fenders and tiny bubble cars. 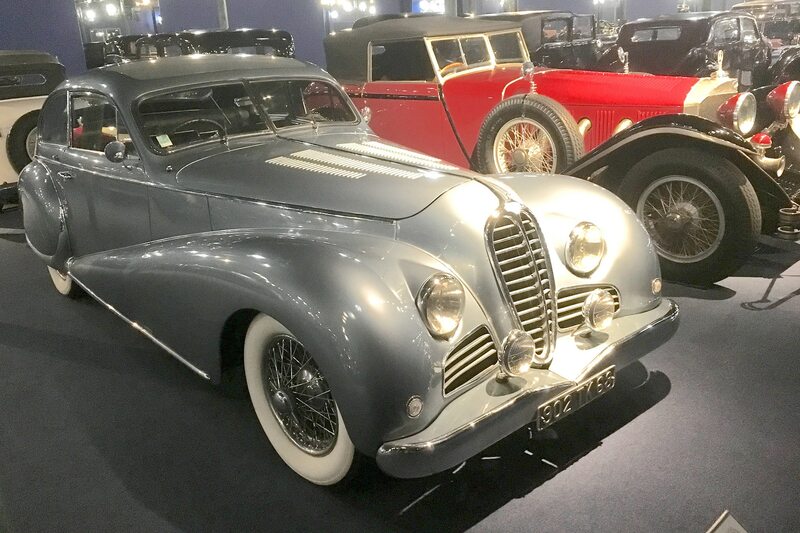 The story behind this 1949 Delahaye 135M with coachwork by Jean Antem is evocative. In 1951, it’s owner left France for the US on his honeymoon and stayed. When he donated the car to the museum in 1986, he used the return portion of the roundtrip ticket to come back. Seems far-fetched but who are we to mess with the folklore of the wealthy? For every bottle of Dom Perignon consumed, a thousand cases of vin ordinary are polished off. 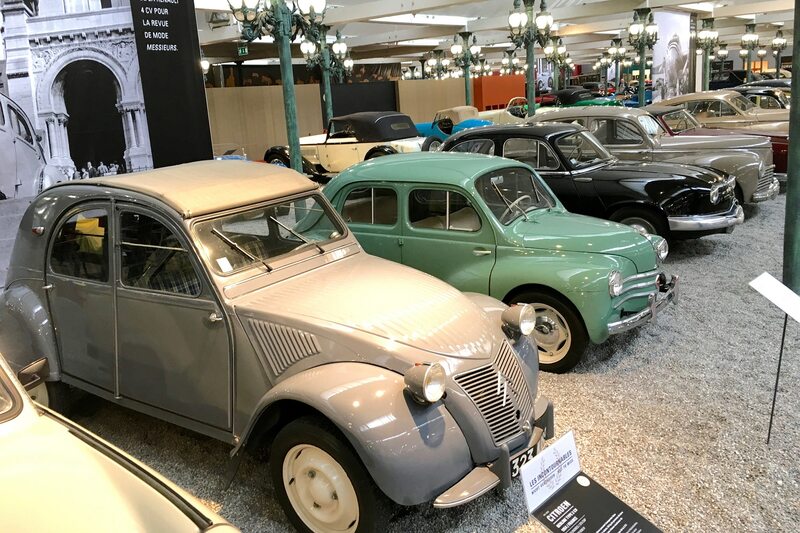 These very basic French cars of the post war era, put on display after the end of the reign of the Schlumphs, provide refreshing counterpoint to the grandeur of the Bugattis, Hispano-Suizas and their gilded ilk. From left: Citroën 2CV, Renault 4 CV, Panhard Dyna and Peugeot 203.